If you ever wondered just how much momentum the ETF sector has, then take a look at the latest statistics. According to ETFGI, based in London, the industry worldwide has now topped the $3 trillion threshold for the second time in its history – after originally doing so in May last year. 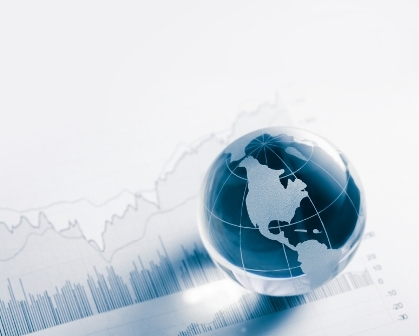 Its survey revealed there are 6,240 ETFs and ETNs with total assets surpassing $3.07 trillion. The figure was taken from 277 providers from 51 countries operating on 64 exchanges. Speaking to ETF.com, Dave Nadig, the direct of ETFs for FactSet Research Systems, commented that while there has been strong growth globally there are contrasting reasons for the success in different regions. For example, in the USA, flows have come from the retail, advisory and institutional areas – whereas outside the USA institutions still make up the majority of net flows. In March, however, he believes there was a change in investor sentiment with money flowing towards risk assets such as equities, commodities and corporate bonds. He believes that an increasing number of investors are looking towards ETFs despite the fact that market performance is down around the world. Indeed he even suggests that poor market performance can be good for ETF growth with people realizing they are overpaying on actively managed funds and rotating to low-cost alternatives such as ETFs. March was the strongest month for ETFs this year so far with April keeping pace – around $7.4 billion in new assets have entered ETFs since the turn of the month.